When seeking a self storage unit in Apache Junction, AZ, look no further than StorQuest Self Storage. 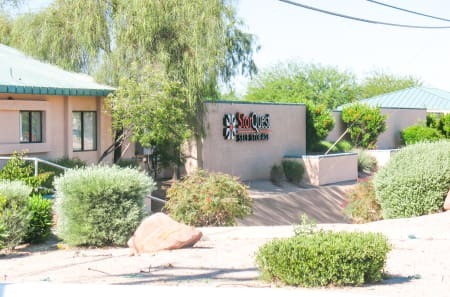 Our Apache Junction self storage units come in a variety of sizes to accommodate your specific needs. Are you moving and need to store the contents of your entire home while in transition? Our medium and large storage units perfectly serve the needs of our tenants looking to store more than a spare couch or holiday decorations. Our smaller storage units are ideal for area residents needing a little extra space at home. From seasonal sports equipment to unused scrapbooking supplies to extra furniture, our storage units meet your needs with ease. We are also pleased to accommodate the needs of our commercial clients. 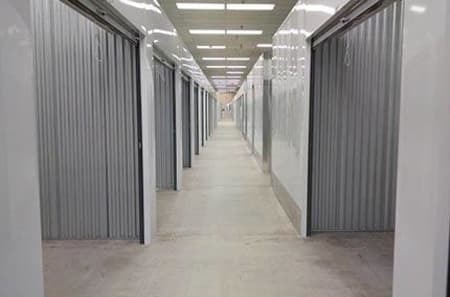 Whether you own a restaurant and need to store extra equipment and tools, are a company with an enormous backlog of files, or run an eCommerce business needing space to keep inventory – the storage units in Apache Junction, AZ, at StorQuest Self Storage work perfectly for your needs. In addition to air-cooled commercial and residential storage units in Apache Junction, StorQuest Self Storage is pleased to offer RV and boat storage. With uncovered options available, you'll be able to find the best self storage solution to help protect your investment and free up valuable parking space at your home. Our self storage parking spots can hold automobiles, motorcycles, ATVs, boats, trailers, RVs, jet skis, and more. Depending on your toy storage needs, StorQuest Self Storage can outfit you with a parking space to be your RV's second home when not out on the open road. Browse the RV and boat storage parking spaces available, then give us a call to reserve your unit today. Our knowledgeable staff will be happy to help you choose the right space to meet your needs.